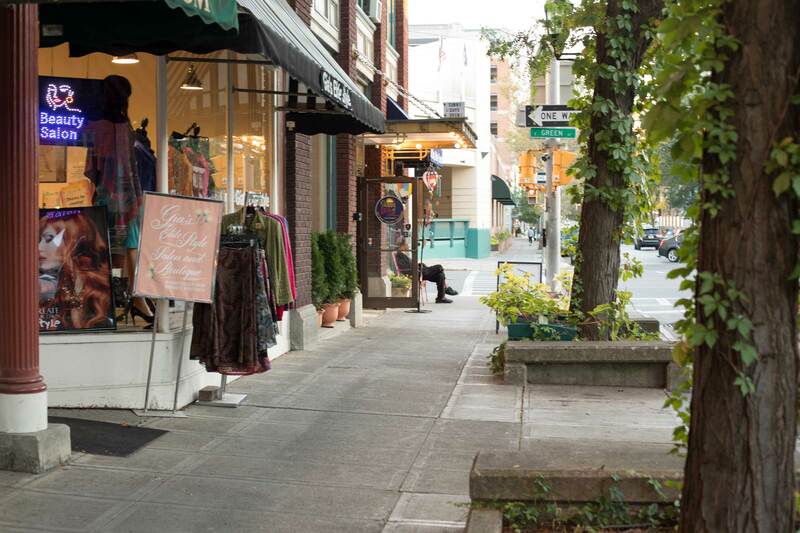 Located a short walk from the Commons, Cayuga and West State Street are great locations to find more one-of-a-kind shops and boutiques, our artisan co-op, and some of the best entertainment and night club in the Finger Lakes. Joining up the west end of the Ithaca Commons, Cayuga and West State Street is great area worth exploring in downtown to find more one-of-a-kind shops and boutiques including Willow and The Vintage Industry as well as Handwork, Ithaca’s community artisan co-op, and Sunny Days…A New York Marketplace offering a great selection of gifts and souvenirs made in upstate New York or reflective of the region. Other entertainment on this end of downtown includes our very own interactive and enigmatic escape room, Escape Ithaca and Wine and Design, where you can take a leisurely painting class with friends and enjoy your favorite beverage while doing so. The Cayuga and West State Street corridor hosts an array of locally owned and operated eateries and shops ranging from the upscale Coltivare Culinary Arts Center and Restaurant which is owned and operated by Tompkins Cortland Community College as an institution for culinary and farm-to-table education. West State and Cayuga are also home to a wide array of cuisine diversity from Hawi Ethiopian Cuisine, Gorgers Sub Shop with their worldly take on sandwiches, Thai Basil, newly opened Mexican food restaurant Bickering Twins and Capitol Corner offering authentic Chinese dishes and Japanese Sushi. If you’re looking for an evening place to chill while sipping glasses of wine or cocktails, or you want check out the local music scene, or dance the night away, head to West State Street. West State is home to our historic entertainment complex, The State Theatre. State Theatre celebrated its opening night on December, 6, 1928, but the building dates to 1915 and was originally an automobile garage and showroom. 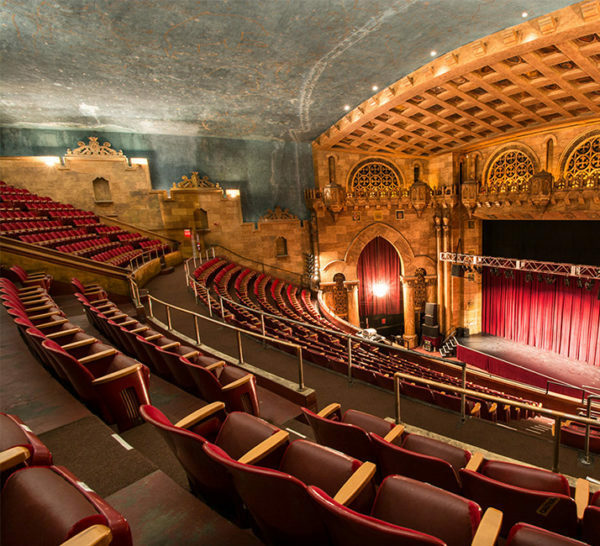 Today, the 1,600 seat theatre hosts multiple nationally recognized performers and highly entertaining regional groups and dance companies, and talented theater troupes. For a listing of upcoming performances and concerts, visit www.stateofithaca.com. Coltivare is our region’s culinary arts, wine, and hospitality training center, operated by the Tompkins Community College (TC3). Along with teaching the students, Coltivare offers cooking classes and workshops for the public. Coltivare also features a restaurant with a constantly changed menu of unique and seasonal specialties. When you dine at Coltivare, prepare yourself to dine on some of the freshest food around. The chefs utilize produce grown from its own teaching organic farm! For special events and occasions, Coltivare has a spectacular space that seats up to 250 guests, and there’s a culinary lab and an amphitheater that is the perfect spot for workshops, wine tastings, cooking demonstrations and more!